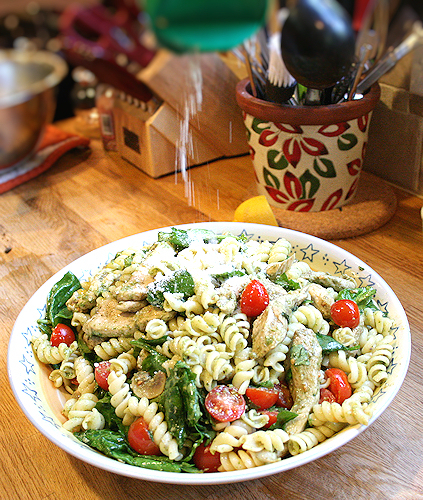 When we made this yummy pesto, we had to make something to go with it, right? So my daughter came up with her own recipe tonight and I let her roll with it. Not only was it wonderful, but I loved how she added special little touches like fresh spinach, mushrooms and cherry tomatoes. Nice to have a break and sit back and watch your little one create. We hope you enjoy it as much as we did. 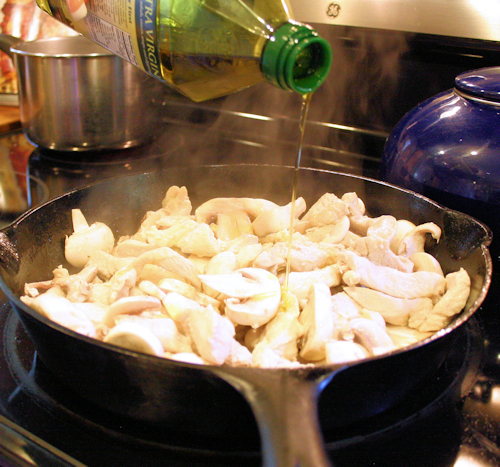 In a saute pan, add about 1/4 of a cup of olive oil, enough to cover the bottom of the pan, then drop in the cube of saute express, minced garlic and the chicken. 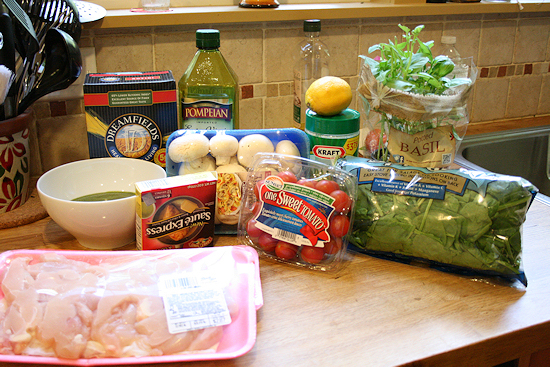 Saute this until chicken is done. 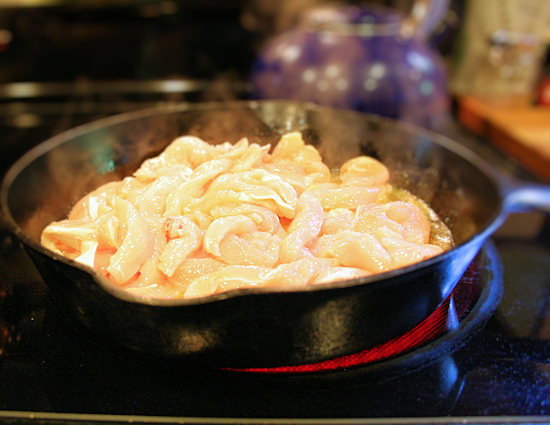 While the chicken is cooking, go ahead and cook your noodles. 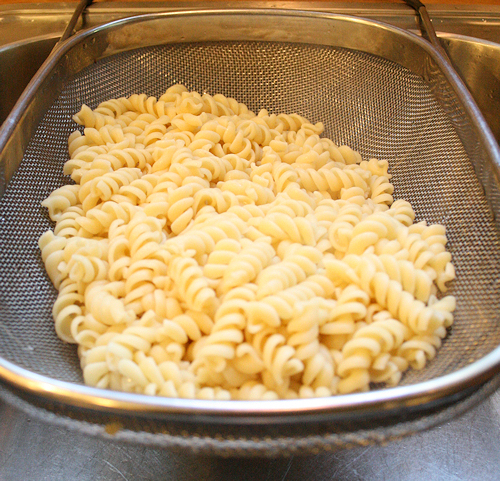 Set aside in a strainer to drain. 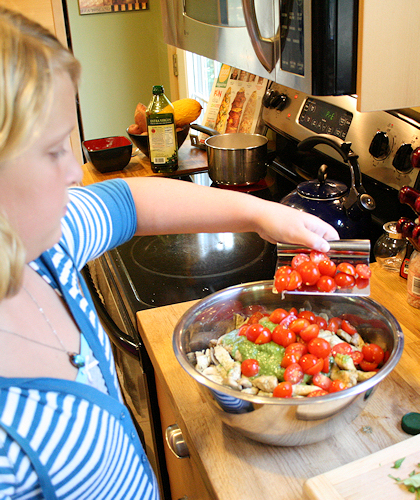 Add another 1/4 cup of olive oil. 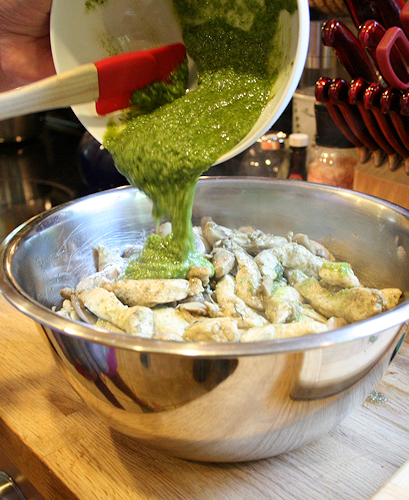 Add the fresh mushrooms and 2 tbs of Pesto into the chicken. Gently stir through. 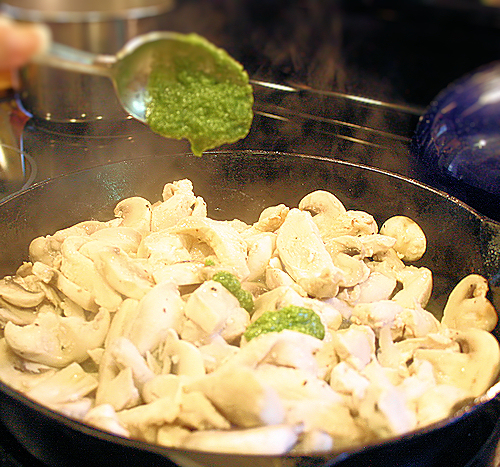 Simmer on low for about 10 minutes to let the flavor seep into the chicken and mushrooms. 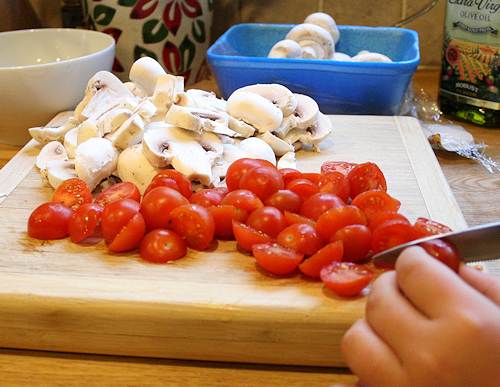 While the chicken is simmering, you can cut your veggies. 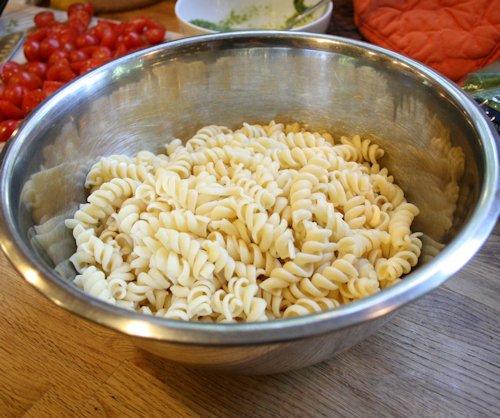 Add the rotini to a large mixing bowl. 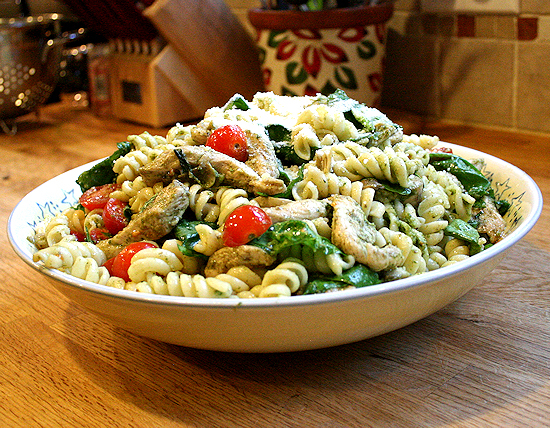 Add your chicken and mushrooms right into the bowl over the pasta. 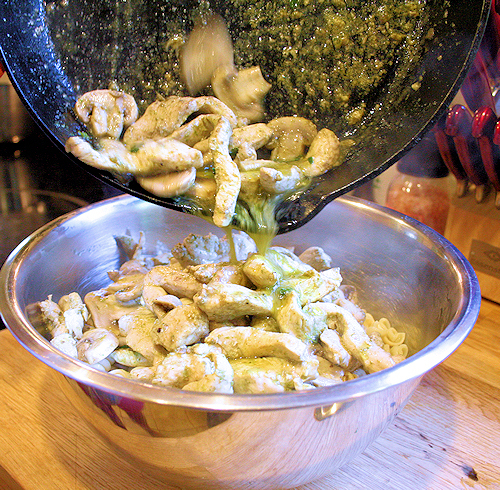 Pour the remaining Pesto right into the bowl. 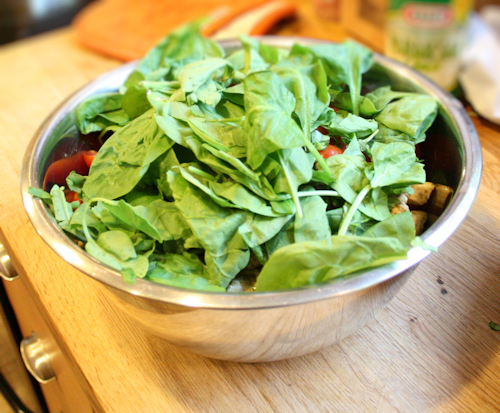 Lay your spinach right on top and mix it all together. 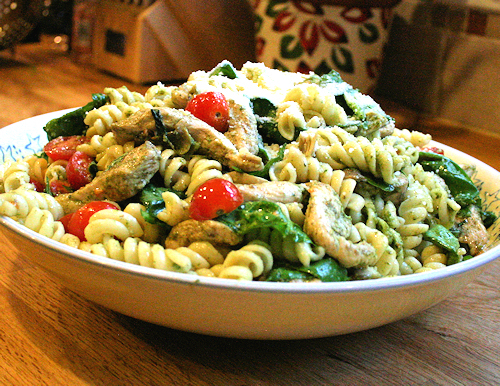 You want to make sure every bit of pasta is coated with the Pesto. 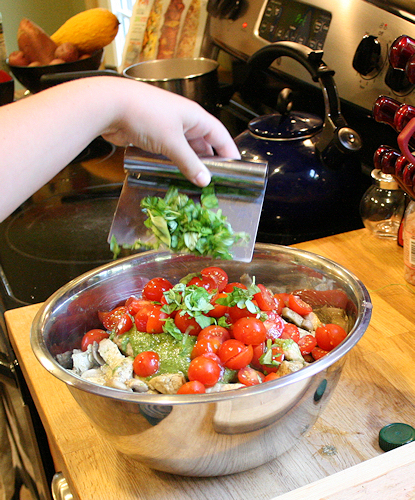 Pour into your favorite serving dish and sprinkle the parmesan cheese right over the top. 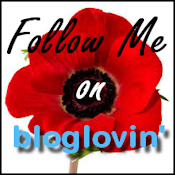 Beautiful, right? Wait until you taste it! Serve with some crusty bread and you have the perfect meal.